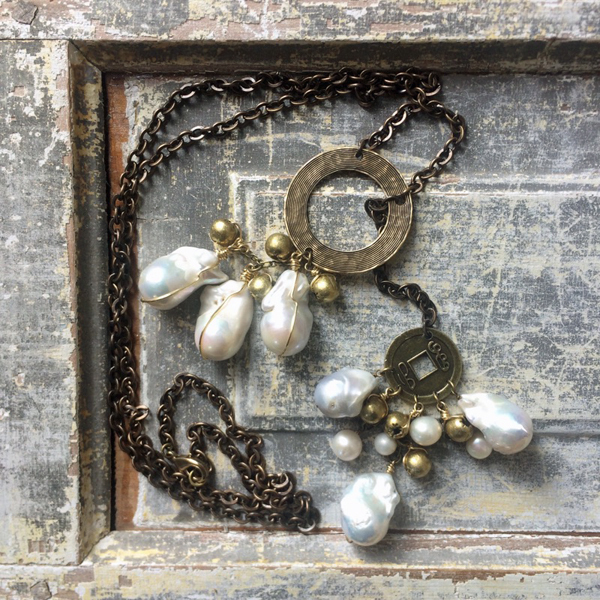 With a plethora of baroque freshwater pearls, chain, and African brass beads, what’s not to love about this necklace? It can be worn long or doubled over and pulled through as a choker. Available in Antique Brass.